Simple pattern drafting methods to take back to the classroom. Learn and practice how to correctly measure the body and use easy maths to create a basic block and adaptions. 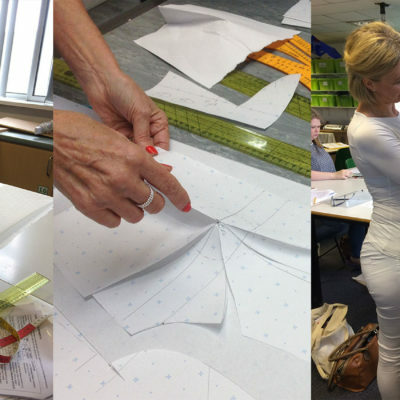 An opportunity to learn basic pattern drafting methods as used in industry aimed specifically for teaching at KS3/4. Looking at methods used in industry and learning how to correctly measure the body; create a basic block and adaptions involved in pattern development. 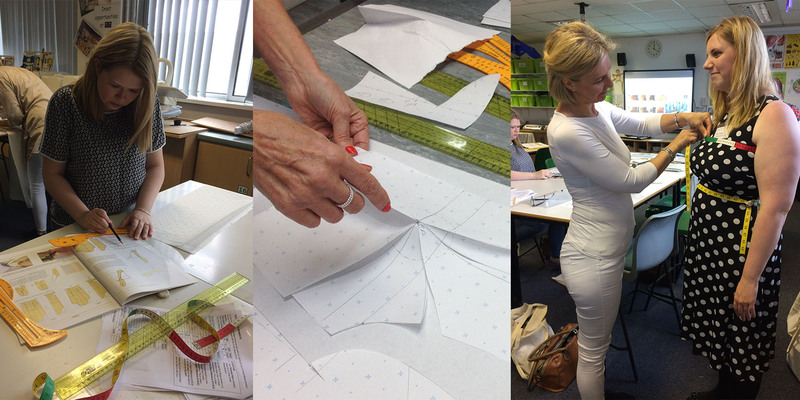 Applying those easy maths skills as required by the new GCSE’s through pattern adaptions, fabric lays and scaling! Places are restricted to 6 so if you would like to go you need to book early! 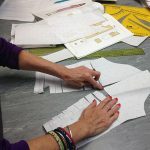 Introduction: An overview of the history of sizing; Pattern making in industry and different methods and systems used; Flat pattern drafting and the importance of correctly measuring the body. You will learn how to measure the body correctly, then produce a basic bodice , sleeve and skirt block, to adapt to first patterns. These blocks can be adapted to draft a variety of dresses, tops and skirts. Use Industry tools and Telestia methodology to measure the body and draft a first block. Pull out the maths element with circular skirts, adding seam allowances etc. Learn how to manipulate darts, pivoting around the bodice and using for adding fullness. Learn new technical skills to support classroom delivery. Support and ideas for delivering key maths elements through textiles. Classroom strategies and textile industry knowledge to underpin practical work. Life long learning in continuing professional development. 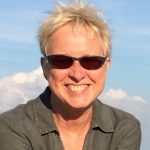 Dawn has 30 years’ experience in the textiles and garment industry including design consultant, schools presenter and resources developer for EMTEX; Fashion lecturer and programme developer at various UK Universities and FE colleges; course presenter for DATA, Key Stage Developments(KSD), SFE and other course providers. She is a co-founder of Liv.co.uk, where she managed design, buying and sourcing and continues to work with brands such as LUSH Soaps, sourcing ethical products. Dawn recently launched her own knitwear brand FOXOLOGY showing at PURE (London Olympia) and SCOOP (Saatchi Gallery) International trade exhibitions. 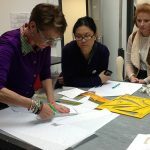 She also continues to teach pattern cutting at Fashion Technology Academy and Raystitch in North London.